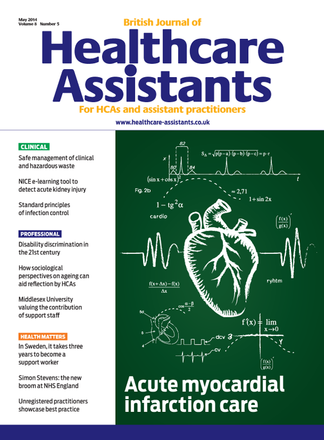 British Journal of Healthcare Assistants (BJHCA) supports the career development of healthcare assistants (HCAs) and assistant practitioners (APs). BJHCA helps to meet the learning outcomes of the Quality and Credit Framework diploma qualifications. Improve your knowledge and skills in all areas of practice for all HCAs and APs. Raise your awareness of best practice with highly practical examples, and articles that are packed full of information specifically designed to keep you up-to-date in all the essential topics relevant to healthcare. Be the first person to tell us what you think about British Journal of Healthcare Assistants and you'll save £2.50 on your next purchase!